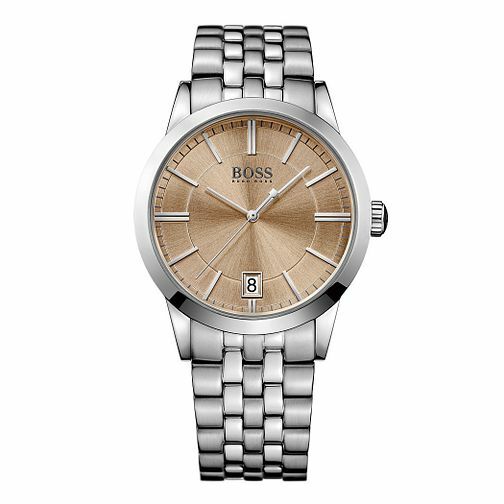 Hugo Boss crafts a more individualised piece that features a vintage brown dial with a radial pattern and finished with a stainless steel case and bracelet. Uniquely modern yet still classic. Hugo Boss Men's Stainless Steel Chronograph Bracelet Watch is rated 4.0 out of 5 by 5. Rated 5 out of 5 by Anonymous from Amazing product This product has been made to such a high standard, such a classy watch and looks faultless, also amazing service from your Brighton branch.